There have been two deaths from the fatal virus, one at the Lok Nayak Hospital and the other at a private hospital. With dengue and chikungunya already on a rampage, the health crisis at the capital just got a lot more worse. The Swine Flu menace seems to be unstoppable as it is sweeping the whole nation apart with new cases popping up every-day. Even the capital has not been spared, about 320 cases of the swine flu virus have been reported from the national capital as the data provided by Delhi government suggests. There have been two deaths from the fatal virus, one at the Lok Nayak Hospital and the other at a private hospital. With dengue and chikungunya already on a rampage, the health crisis at the capital just got a lot more worse. "In Delhi, the situation is normal. 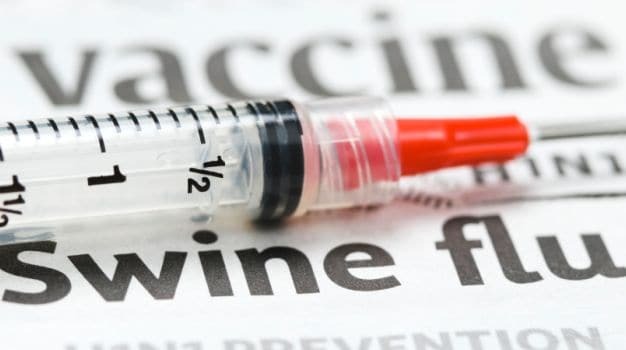 We have sufficient stocks for more than two months to deal with swine flu crisis," said Delhi health minister Satyendar Jain. Often it is misdiagnosed as a common flu, as it has all the similar symptoms, fever, cough running nose and congestion. But alongside that it also leads to breathing problems and in some cases pneumonia. Dr SM Raheja, additional D-G at directorate general of health services (DGHS) said, "We are ready to deal with the crisis. Surveillance has been increased and doctors at all major hospitals such as Lok Nayak, GTB, Ambedkar, DDU have been alerted. Dedicated isolation wards of H1N1 patients has been set up. Public awareness campaigns, hoarding have also been put up. There is nothing to worry about at present moment. Earlier, we were focusing on mosquito-borne diseases, but now we are working to deal with swine flu virus," he said. The experts have said that already the cases of the virus are going up and this will continue for some time. "The number of cases will go up in the coming days. Generally, the cases of swine flu arrive in Delhi in the month of September. This year, we have the cases of vector-borne diseases combined with the H1NI virus. It is a deadly combination," said Dr SP Byotra, Department of Internal Medicine, Sir Ganga Ram hospital. Swine flu, also known as the H1N1 virus, is a relatively new strain of an influenza virus that causes symptoms similar to the regular flu. It originated in pigs, but is spread primarily from person to person. Swine flu made headlines in 2009 when it was first discovered in humans and became a pandemic. Pandemics are contagious diseases affecting people throughout the world or on multiple continents at the same time. Like other strains of the flu, H1N1 is highly contagious, allowing it to spread quickly from person to person. A simple sneeze can cause thousands of germs to spread through the air. The virus can linger on tables and surface areas like door knobs, waiting to be picked up. Here are some easy tips you can follow to keep the flu away. 1. Have five duly washed tulsi leaves (basil) every morning. Tulsi is known to have a number of therapeutic properties. It helps in strengthening your immunity. 2. Do Pranayam daily and go for morning jog/walk regularly to keep your throat and lungs in good condition. Even in small measures, it will work wonders for your body's resistance against all such diseases which attack the nose, throat and lungs, besides keeping you fit. 3. You can have a a small piece of kapoor or camphor. Adults can swallow it with water while children can take it along with food. Please remember camphor is not to be taken everyday, but only once each season, or once a month. 4. You should eat citrus fruits rich in vitamin c daily especially amla. 5. Take two pods of raw garlic first thing in the morning by swallowing it with lukewarm water. It will strengthen your immunity. 6. Take a glass of hot or lukewarm milk every night with a small measure of haldi (turmeric). 7. The thick and long, cactus-like leaves of aloe vera have an odourless gel. A teaspoon of this gel taken with water daily can work wonders for not only your skin and joint pains, but also boost immunity. 8. Lastly, always wash your hands with soap and warm water daily as frequently as possible. Also, encourage your children to do the same.